Anyone who has been following my blog for a little while will know that I am a huge fan of Sugar & Vice. They just launched their new Spring Summer collection and I fell completely head over heels for it and just had to share it with you guys. It's a collection themed around oddities and cruelty free taxidermy, and you can shop the whole collection here. I haven't been wearing much jewellery lately and this whole range has made me fall back in love with striking and unusual pieces. Here are some of my absolute faves! Look at all those teefs! The detail in this one is sublime. It's so unusual and eye catching, the whole collection is full of fantastic statement pieces. You know I can't resist a butterfly or a moth, and a deaths-head moth is the ultimate goth moth! One day I'll have a tattoo of one, till then, this will totally do. 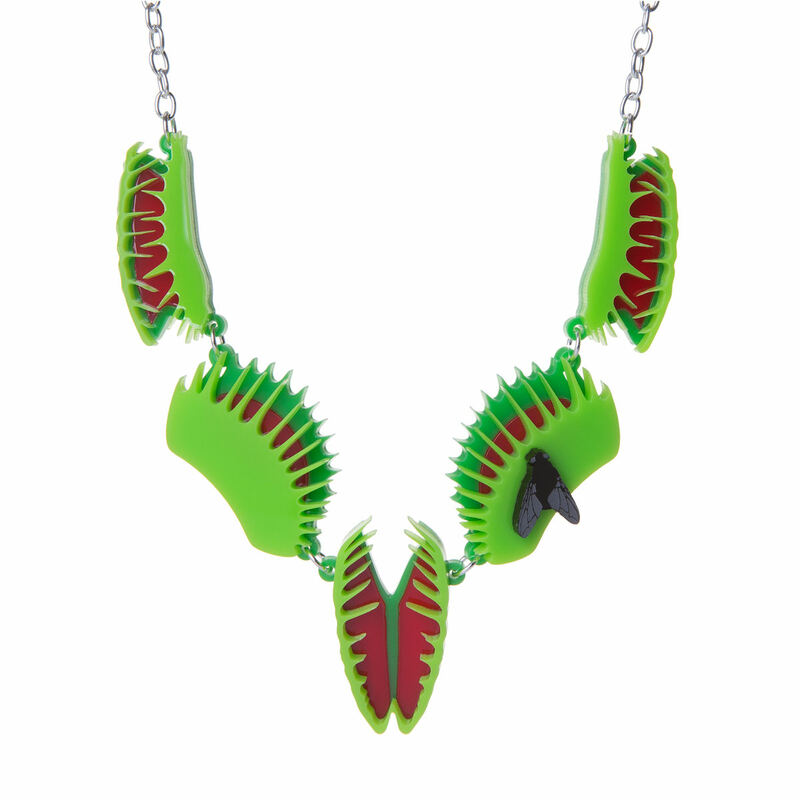 I'm so in love with this piece, it's quirky and awesome and makes me want to shout 'Feed me Seymour, feed me!' 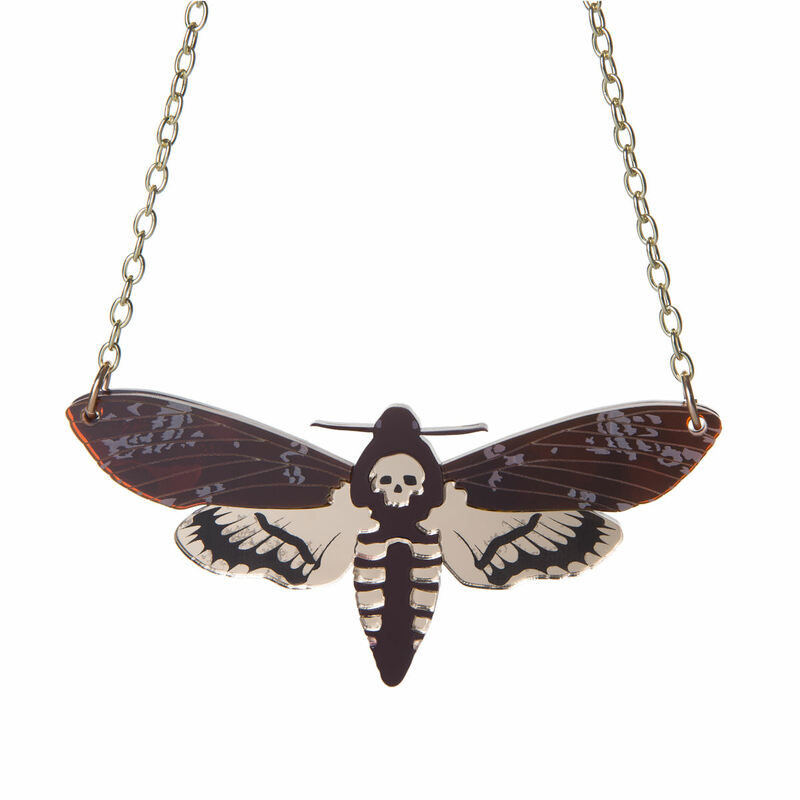 Truly inspired, the addition of the single fly in particular really makes this necklace stand out to me. 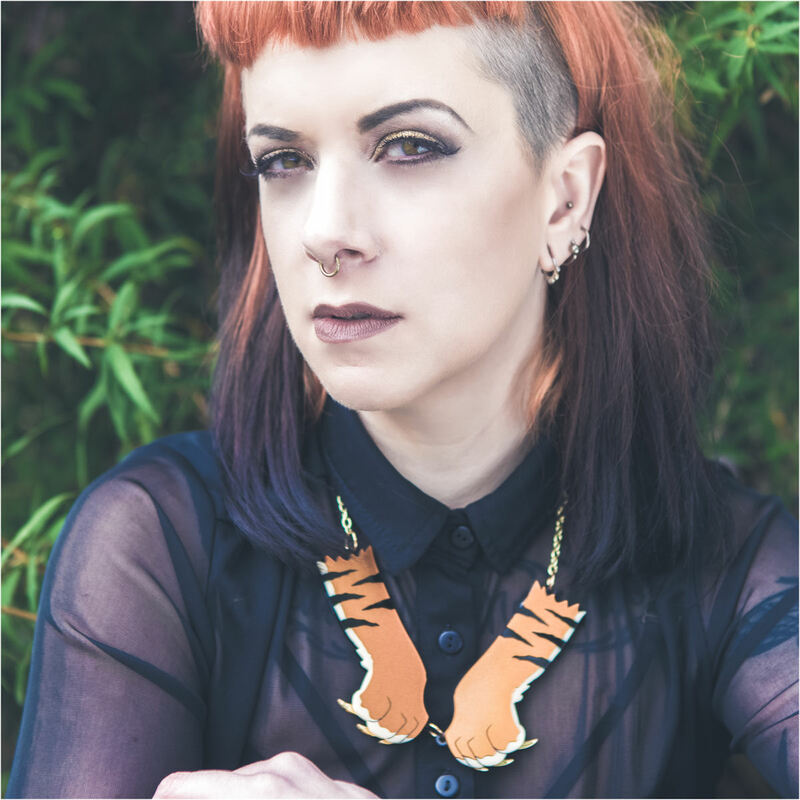 My absolute favourite from the collection is this epic tiger paws necklace. I'm obsessed! I've never seen anything like this before and I want it. I need it, I have to have it. I will not rest till this is round my neck. Sugar & Vice make so many beautiful things, but one of the things I love most about them is that every necklace is available in different chain lengths, 16", 18" and 24", as well as a variety of metal finishes. The different chain lengths might not seem like a big deal, but it means their jewellery fits absolutely everyone and is truly size inclusive! 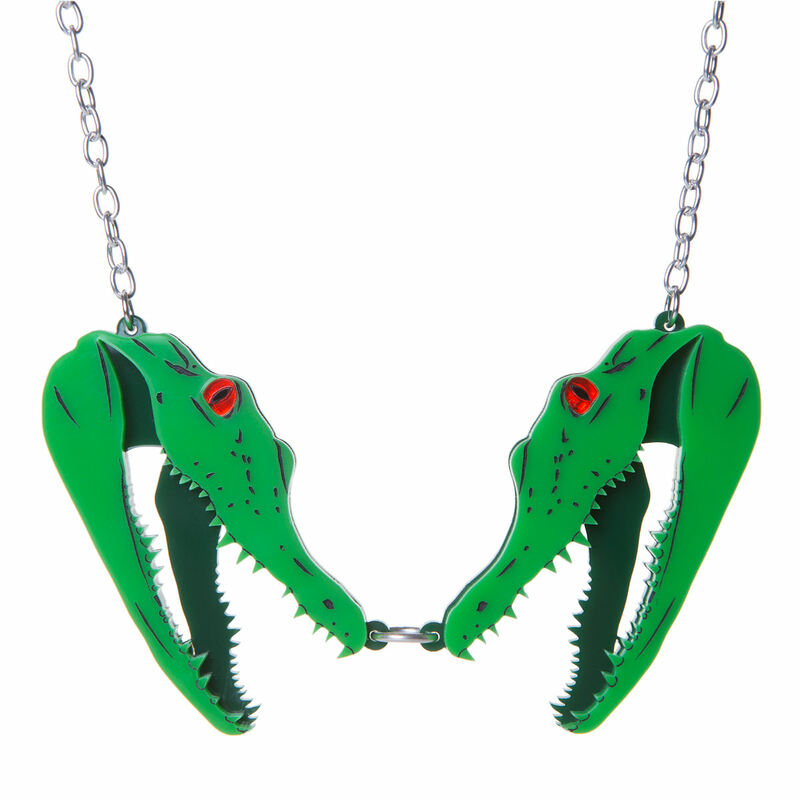 No more having to buy necklace chain extenders, these will fit any neck perfectly. This collection has a lot more treasure in it, from crab claws, to mounted skulls, to beetle wings and even a shark jaw, all in cruelty free acrylic! Please do check them our and support a wonderful independent business whenever you can. All photos copyright Sugar & Vice and used with their permission. right?! I think this is my all time fave collection of theirs! OMG I looooove these. The Venus Fly Trap necklace is genius!